Have I mentioned before that I love Gingerbread or ginger cookies? I probably did (1 or 10 times) when I posted my soft Paleo gingersnaps recipe, but let me reiterate for a moment or two…I LOVE gingerbread. I love the touch of spice that comes with each bite, the way it makes my house smell, and how it reminds me of Christmas time. It’s a new-found love. I don’t remember eating it as a kid, but I am pretty sure I wouldn’t have been a huge fan, but my mature adult tastebuds LOVE it :)! 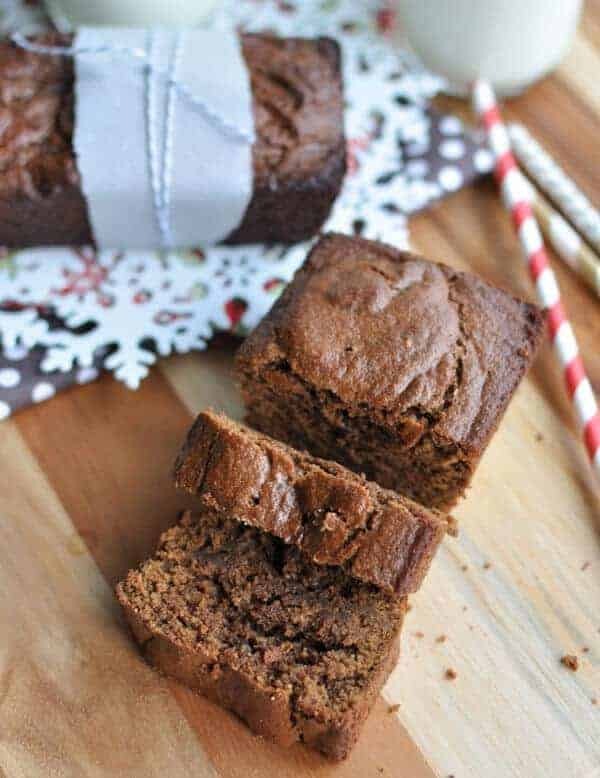 Not only does this Gluten-Free Gingerbread Loaf recipe have the same taste and texture as traditional gingerbread, but it is also grain-free, and Paleo-friendly. It is made with high-fiber coconut flour, nutrient-dense cashew butter, and all the ginger and spices that makes gingerbread taste insanely delicious! It is also super-simple to make. One mixing bowl and you are good to go – I love recipes like that! 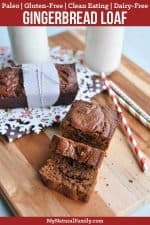 I made mini loaves with this recipe, but it could be used to make muffins as well. If you want a large loaf, double the recipe. If you don’t have cashew butter, you can soak 1 cup of raw cashews for 1 hour in warm water. Discard the water before using the cashews and blend all of the ingredients in a blender until a smooth batter forms. I’m sorry, but there is no substitute for coconut flour. People always ask, but it’s a very unique Paleo flour and absorbs liquid like crazy and is like nothing else. You could sub the arrowroot powder with cornstarch, but then it wouldn’t be Paleo. You could make a flax egg instead of a normal egg and it should work fine as an egg substitute. I haven’t tried it myself in this recipe, but really it should be fine. I’ve done it with other several other recipes with good results. If you don’t have a mini loaf pan, you can use a muffin tin and decrease the baking time (makes approx. 8 muffins). I would love to know if you try this recipe and if you like it and – especially if you like the smell! Please comment below and let me know how it went! The Best Paleo Christmas Cookies – Leave Some for Santa! 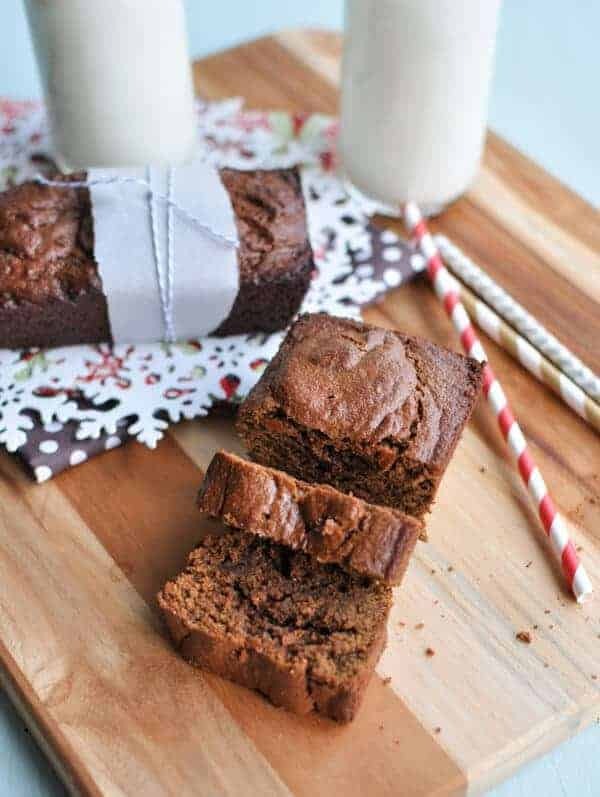 This Gluten-Free Gingerbread Loaf is easy to make in one bowl and has the same taste and texture as traditional gingerbread, but with wholesome, nutrient-dense ingredients. Shift together the coconut flour, arrowroot powder, baking soda, and Real Salt. Pour into 2 greased mini loaf pans. Bake 25-30 minutes, until a toothpick inserted comes out clean. Not all cashew butters are created equal. 1/4 cup coconut flour was the perfect amount for me, but if your batter seems really runny, add 1 more Tbsp of the coconut flour. So delicious! Kids and friends loved them! Doubled the batch and made muffins, baked for about 15 minutes. Will use in school lunches. Thank you! I’m so glad you like the recipe. I’m sure they will work great for school lunches. Thanks for commenting! 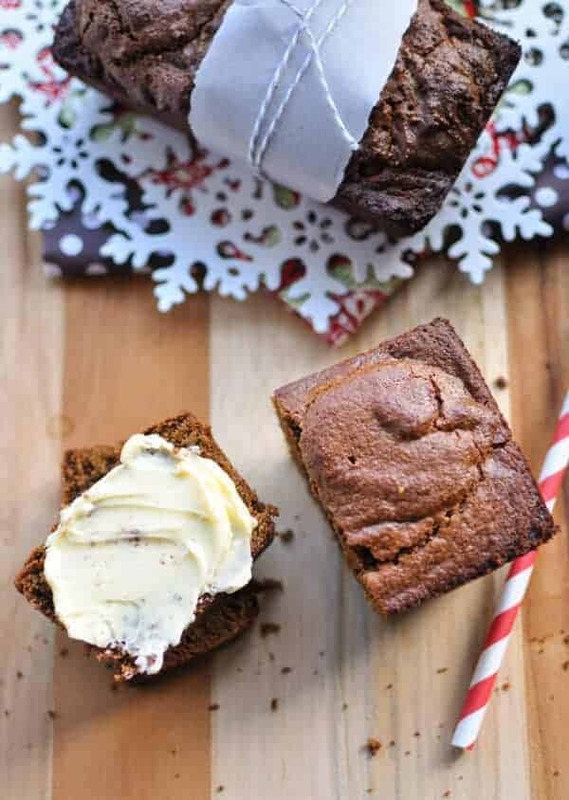 I love gingerbread and this seems a lot easier to make than cookies. I’m going to try it! What do you think about other nut butters in this? I haven’t tried them myself, but I see no reason why they wouldn’t work fine. This looks delicious and the photos are so dreamy! Nice work. You are so sweet! I have a long way to go, and you are my inspiration :).